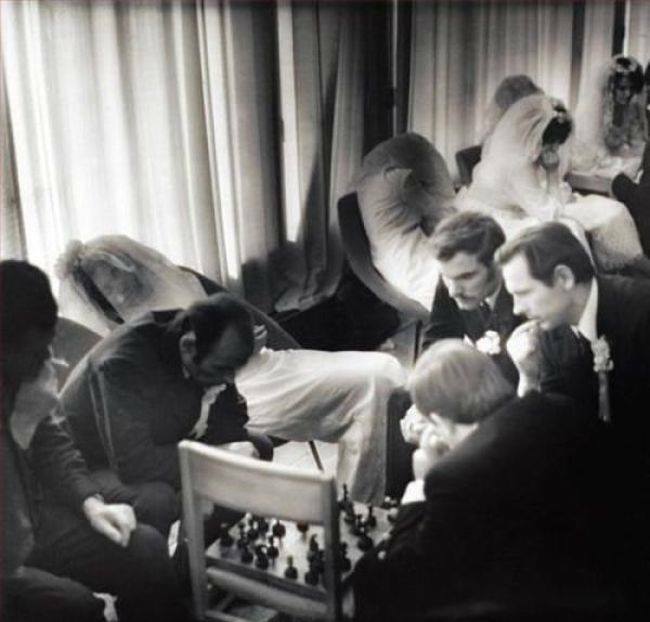 In a civil registry office in the Soviet Union, some time in the 1960s: The men are immersed in a game of chess. The brides are bored, most of them have already fallen asleep. So, the long waits in government offices were partly responsible for the Soviet dominance in chess. This entry was posted in History, Marriage, Sports and tagged chess, Soviet Union, USSR. Bookmark the permalink.